I am working on a supersized homemade cleaners post for you all soon, but in the meantime, I thought I would share my newest storage find. 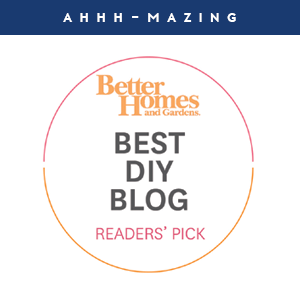 Generally, I only blog about storage that we DIY, or a full blown before and after transformation of a closet, drawer or space, but sometimes a really great piece of storage finds its way to our home and I get excited to share. And although it is nothing earth-shattering or groundbreaking, I can't help but feel my heart pitter-patter when I stumble across a really great storage solution. 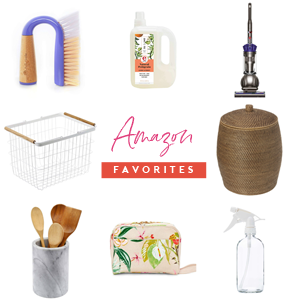 As we have been transforming our laundry room, I realized that I want to be really selective about how we utilize and store all of our essentials. The wallpaper is busy in a beautiful way, but that means that I would like to conceal smaller items and keep the remainder of the surfaces clean and inspiring. We also plan to add an outlet to give our stick vacuum a permanent place to charge, which trumps the wall space needed for my pegboard organizer showcasing my sewing tools. 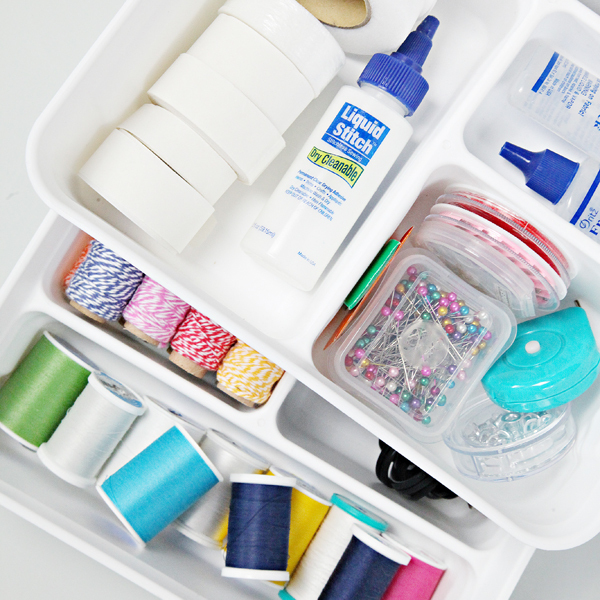 The wall organizer worked really well for many of the primary sewing items, however, I also had another batch of additional supplies tucked away in a different spot. I have been helping a girlfriend organize her kitchen, so we took a trip to our Container Store to source product and solutions. While we were there, I decided to stroll down every last aisle and take in all of the prettiness and newness; I only get to check out the store in person a couple of times per year. And then I spotted them, the prettiest storage boxes in the store, and at a really great price to boot! 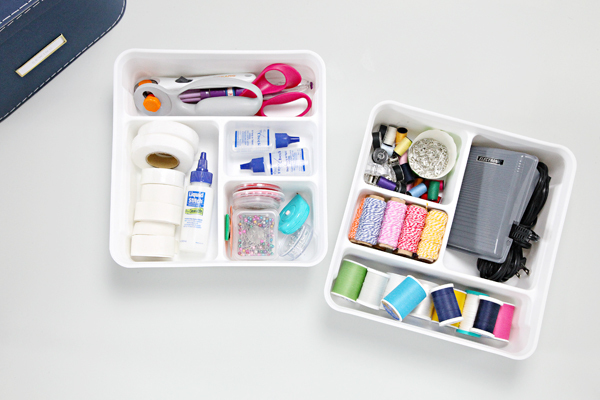 I remembered my quest to conceal my sewing supplies, so I snagged two of the boxes and decided they would be a really great contender. 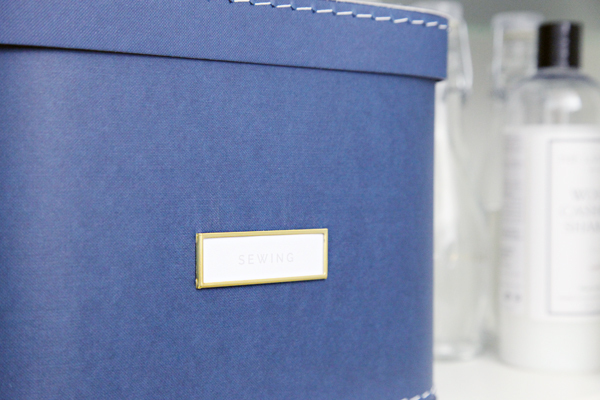 If the sewing supply situation didn't pan out, I could think of 101 other ways to put the boxes to work. They are light-weight, decorative and versatile... a winning combination for sure. So I then went on the hunt for some internal organizers. 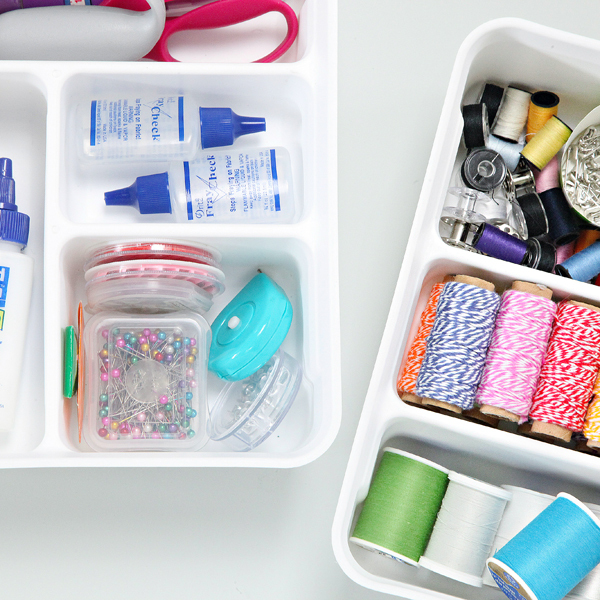 With all of the needles, safety pins, tools, spools, etc... 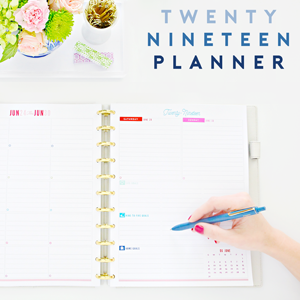 I was going to go against my typical advice and planned to organize the inside of an organizer. I love decorative boxes because they tend to let you store stuff in an easy and pretty way, without having to worry much about what is happening inside. But in this case I wanted to keep everything divided and portable. Assuming I would have to try and find some sort of plastic lidded compartment box(es) that would be a tricky fit, I began searching all of the aisles again. Out of the corner of my eye I spied some dividers that were similar to the shape of the box (although they were designed and intended for a different system altogether). Could this be the winning combo? YES! They fit perfectly! And then I realized that if I twisted the dividers so they didn't stack exact, they would actually stack just the way I needed. This is 100% one of the reasons I love to organize. I love the thrill of the hunt and the excitement that comes from finding unexpected solutions and I get unusually giddy when these magic moments happen. I couldn't wait to get home and begin dividing out all of my items. 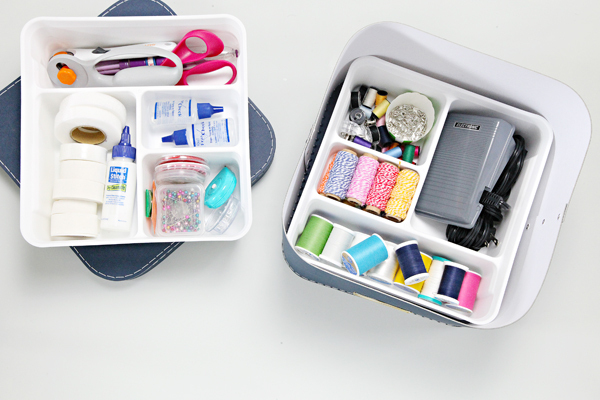 The biggest win was that my machine peddle fit the larger compartment and brought all of my supplies together. As I mentioned, when you stack the organizers in the same direction, the top sinks right into the bottom. 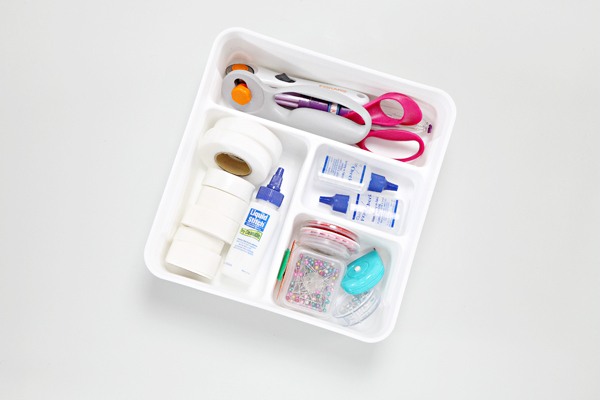 But simply rotating the top organizer and there is enough support to stack them together without any sinking. Above you can see the fit and the stack. Good thing you can't see the funny dance I did when this quick little project was done! 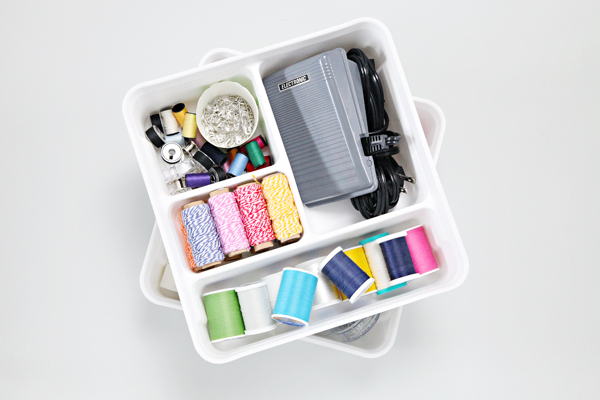 The second box holds all of my embellishments and tools such as snaps, buttons, pom makers and my grommet kit. 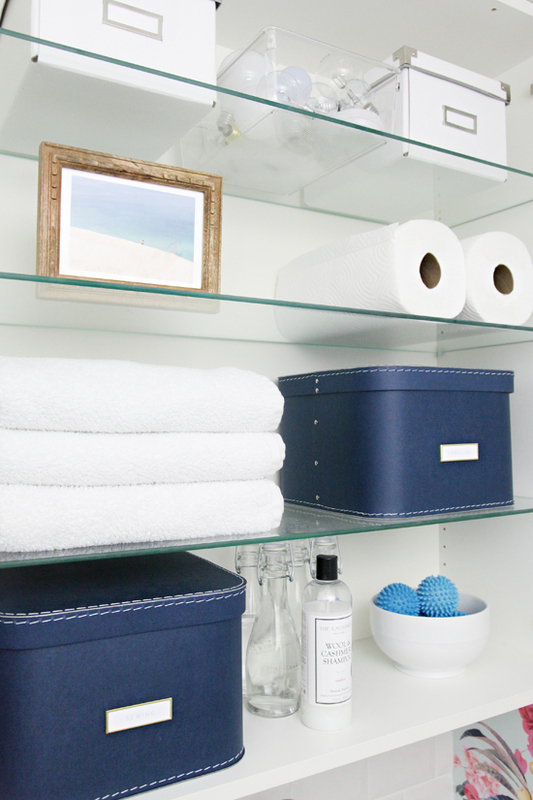 Decorative boxes can be found almost everywhere, but they can quickly get spendy. I think these boxes are a great value considering their size, the detailing on the lid, and label holder. Too good to keep this find all to myself. Oh I just love those! Nice find! When I saw the email title this morning I was hopeful and then hope turned to JOY!! this is EXACTLY what I need for my grandmother's armoire that houses my sewing and crafting supplies. Right now it's has plastic stacking bins but they look blah and I've been wanting something to match my blue walls...these boxes are just perfect. So excited!!!! Love it! Just ordered two. 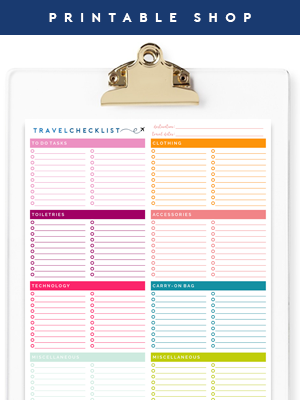 I'm re-doing my office/craft room and these will be perfect. Thanks for sharing! Thanks, this gives me great ideas for organizing the sewing boxes I inherited from my mother. This is so smart! 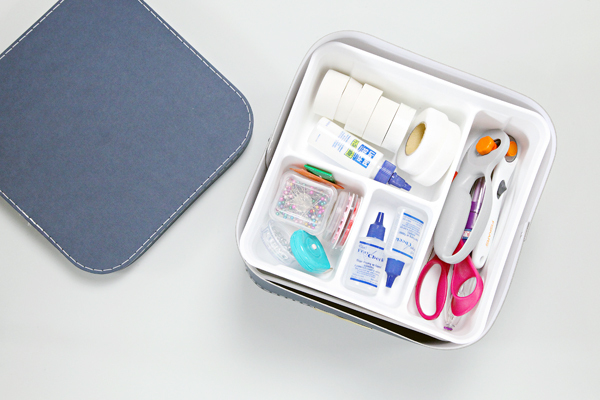 I need to do this to store my first aid stuff and make up since my bathroom has the worst storage. Thanks for making this discovery! I don't think I would have seen this possibility. 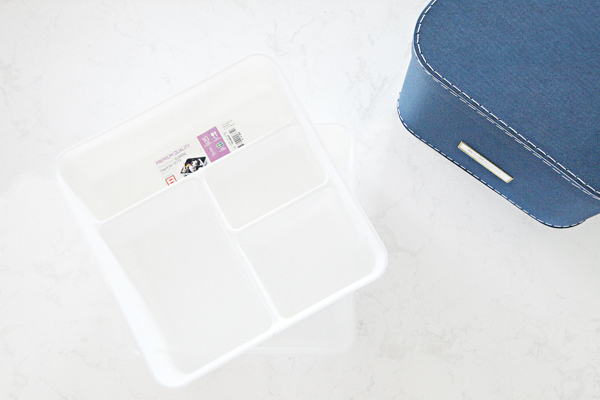 Love the box, love the divided trays, love The Container Store, love this blog! 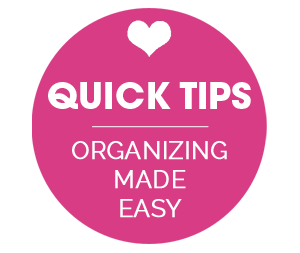 Thanks for helping me organize my home. I'm always having a problem with my haberdashery supplies, I ask my husband to make over our vacant room in the house to be my own sewing space. We will start the project next month and I am so excited about it.